Diagnostic evaluation openings at the Weisskopf Child Evaluation Center (WCEC) for children under the age of 3 often go unfilled. After families have returned the WCEC application, visits with a multidisciplinary team consisting of a developmental pediatrician, psychologist, speech-language pathologist and occupational therapist are scheduled by the WCEC. Because spots are held to expedite these evaluations, appointments are often available the following week. To access these services, a referral is required from the child's primary care physician via fax to 502.852.7679. Following registration, the application is mailed to the family to initiate the process. Age-specific milestones and warning signs of potential problems are paired with tips and suggestions for how parents can help their child learn and grow in the "Learn the Signs. Act Early." Milestones Moments Booklet. The milestone lists in this booklet are adapted to match the age of well-child visits, as well as to use more parent-friendly language. Parents can use the booklet to track their child's developmental milestones, to learn more about things they can do to encourage their child's development, and to facilitate discussions with their child's doctor. The booklet is available for downloading and printing. Spring is here and it's time to name the KATC newsletter. We want to thank everyone for sending us their ideas for newsletter names. Six newsletter names were selected as finalists and now we need your help selecting a winner. The winner of the naming contest will win a KATC gift bag, recognition and each newsletter will have the winning name at the top. Please vote for your favorite name for the KATC newsletter by viewing the final names and selecting your favorite. All votes need to be submitted by midnight May 30, 2011. In the Summer issue the newsletter will have a new name and the winner will be announced. The University of Louisville and Kosair Charities today dedicated the UofL Autism Center at Kosair Charities Centre in a partnership that brings under one roof an array of services to help people with autism. "For more than two years, our resources to provide care to children with autism, and provide other services to people who come into contact with these children on a regular basis, have been spread across a number of locations," said Dr. James Ramsey, president of the University of Louisville. "Kosair Charities' very generous charitable lease agreement allows us to unite them into a single location that is more convenient for our patients, their families and others." "Our entire purpose is to enable children to receive the highest quality health care possible," said Jerry Ward, chairman of the board for Kosair Charities. "Partnering with the University of Louisville to enable professionals to treat children and work with people who have regular interaction with these children enables us to carry out our mission for the children in Louisville and beyond." Kosair Charities is donating the rent amount to UofL during the five-year lease. The agreement allows for two additional five-year terms to the lease, bringing the value of the agreement to more than $2 million. This brings the support from Kosair Charities to UofL to more than $27.5 million. Additionally, Kosair Charities has provided more than $1 million in operating funds for the center. Kosair Charities is UofL's fourth leading private supporter. "Through the years, we have been fortunate to have a partner like Kosair Charities so that our young, vulnerable population has what it needs to be successful," Ramsey said. "There is no way we ever can express our gratitude to Kosair Charities." The Center has more than 12,650 gross square feet between the first floor and the basement. For many years, UofL has provided clinical services to children in several locations through the UofL School of Medicine's Bingham Clinic, the Weisskopf Child Evaluation Center and the STAR program, as well as training services to help people who have regular interaction with children with autism through the Kentucky Autism Training Center (KATC) through the UofL College of Education and Human Development. Spread the word among parents and health care professionals in your area. To order materials, please click here. The "Go Out and Play!" Kit for child care and early education providers is rich in developmentally appropriate games and activities for children 3 through 5 years of age. This FREE kit also contains information about monitoring developmental milestones during outdoor play, ideas for making outdoor activities successful, and tips for talking to parents when a developmental delay is suspected. In addition, the kit includes a special pullout section with activities to share with parents for at-home play. Help to make sure that childcare providers and early educators across Kentucky are aware of and use this FREE resource. Download the kit and e-mail it to an early educator or local daycare, camp, or school for young children in your area. You can copy and paste the sample letter into the e-mail to early educators. You can also make copies of the kit to distribute to local schools and share with interested friends and family. 4) Contact your local first responders. The KATC has developed a series of brochures for first responders (i.e. Firefighters, Law Enforcement and EMS Personnel). If you would like to add local contact information to the brochures, there is an address space on the back panel. Copies of the brochure are available here. Those familiar with the past and present activities of the KATC will notice that our efforts have shifted from the provision of direct consultation to schools to development of system wide supports for professionals, individuals with autism, and their families. Towards this new mission, the KATC, the Kentucky Department of Education and its eleven Special Education Cooperatives have developed an ASD Cadre of 750 educators across the Commonwealth. These dedicated cadre members have attended between 30- 36 hours of autism training and several are reporting the impact of the cadre at the district level. Sheila Henson, a complex needs consultant for the Ohio Valley Education Cooperative (OVEC), helps present KATC training materials to her cadre members. Participant evaluation data indicate that her members are taking what they learn directly into the classroom. Sheila recently shared that a district level ASD problem solving team consisting of cadre members really made a difference in the life of a kindergartener with ASD. She reported: "I saw her (the student) last week and she is a different child. She has a schedule and a work system that she follows now on a daily basis. When she starts to feel stressed, she asks her teacher for a time-out to go to the "calming room." Last week she was able to tell her teacher what upset her and what she should have done in the situation. She is completing grade level work and is beginning to socialize with her peers". Way to go team members Susan Estes, Karen Holbrook, Heather Shelton, and Karen Dempsey! Regional trainers are reporting the cultivation of local leaders in ASD. Sally Miracle and Amy Berrong, in the Central Kentucky Special Education Cooperative (CKSEC), reported that following their cadre trainings, several of their cadre members have provided ASD training at the district level. In addition, members are developing systems using web-based technology to provide more intensive support to professionals serving students with ASD. Nice work Central Kentucky colleagues! We are so excited about this initiative and want to thank Laura McCullough and Larry Taylor at KDE for their vision and support as well as all of our amazing regional trainers. Additionally, we would like to report that our next series of trainings address more topics in communication, and introduce some topics specific to persons with Asperger syndrome. Sharing space with our intern, JT, I have considered what it is like to have a co-worker with ASD. In my career, I have preached to a myriad of employers that hiring a person with a disability is a good business decision. I can hear myself now: "Employee morale will improve, you will have a more efficient workforce, and you'll be very happy you made this decision." We are very happy we've started an internship program. I'm a happier person when I come to work and JT is at his desk working hard. He has helped us with data entry and organization that had been put on the back burner. However, it is not always smiles and sunshine. Sometimes JT needs extra help, and sometimes JT isn't in the best mood. When things are not going his way, he lets us know. It's true, JT is just like the rest of us. Hiring people with disabilities isn't always the easiest path to follow. I acknowledge that the KATC is better equipped to provide support to people with ASD than many other organizations. However, with any new hire, regardless of their ability, they will need training to learn the job. People with ASD might need a little more time, but I know I've needed a little more time too. What have we learned? It's worth it. I understand the challenges of including a person with a disability in our workforce, but we have received much more than we have invested. I look forward to meeting our next intern. Look for more information about our KATC Internship Program for adults with ASD. Applications will be available May 2, 2011. Sometimes the transition from school to summer vacation can be difficult, and planning summer activities ahead may help ease into this new transition. Whether you decide to sign your child up for a camp, other summer activity, or plan on having fun inside your own home, your child is sure to benefit from these activities and your planning. Make sure to check out May's issue of KY PLANS through your local support group or on the KATC website, where we will provide a list of summer camps throughout the state as well as a list of fun summer activities. Regardless of how many snow days we had this past winter season, summer is quickly approaching! We know school is a very structured environment and it is important to provide your child with activities that continue to encourage mastering new skills, physical fitness and mental stimulation. 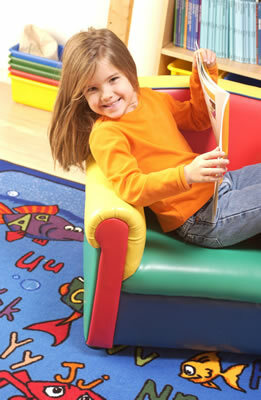 There are several misconceptions as to how a young child qualifies for preschool services. This process has some general guidelines and then specific ones that differ state-to-state and sometimes even school district-to-school district. If you have a child under 5-years-old or know someone who does and is interested in preschool services their lingering questions can be answered through exploring the Kentucky Department of Education's webpage specifically related to how preschool services are determined here in the commonwealth. http://www.education.ky.gov and then from there you can search "preschool" or "preschool eligibility". At that point you can search around to find information or you can currently access downloadable brochures with information.